Compact, comfortable and chic. Three words that neatly sum up OZO Pattaya, a stylish new hotel which opened in the seaside resort on September 15. With a location close enough to main attractions, but far enough away from some of the brasher nightlife that Pattaya has to offer, OZO is a welcome and classy addition to the city’s accommodation options. 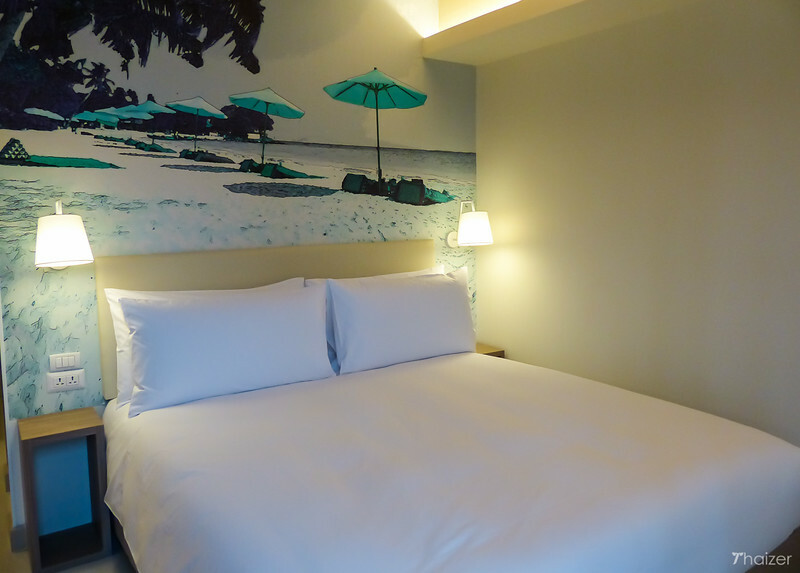 OZO Pattaya describe their guest rooms as the ‘Snooze Zone’. The 164 rooms vary in size, but they all have a number of features in common including top-quality bedding, individual climate control, black-out curtains and hi-speed wi-fi. 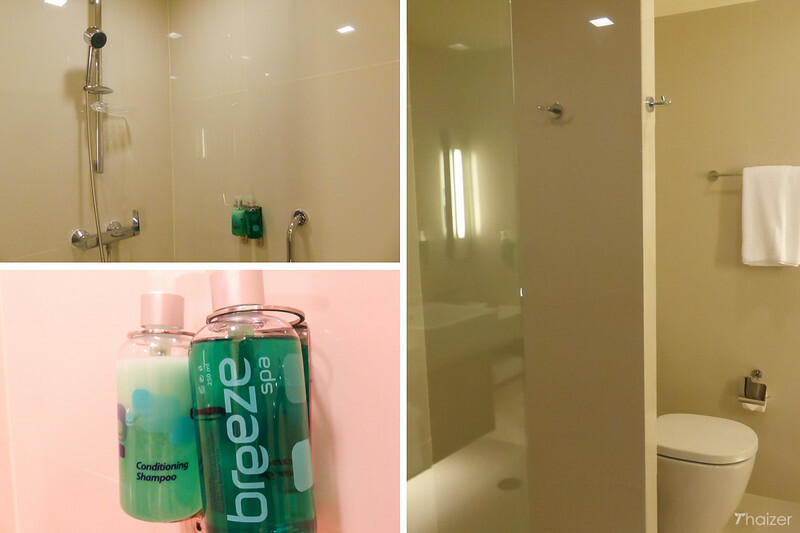 The OZO brand of hotels uses the tagline ‘Sleep tight, wake bright’ which sounds great, but how true is it? The firmness of a bed and softness of pillows is very much down to personal preference, but I can only say that my recent stay here ranks as one of the most comfortable beds I’ve ever slept in at any hotel anywhere in the world, not just Thailand. Naturally, your mileage may vary as the saying goes, but the ultra-comfortable bed and pillows had me sound asleep in no time at all. ‘Lap sabai’ as they say in Thailand. A flat screen TV that folded in and out of the wall to allow for comfortable viewing from any angle was a simple, but clever touch that helps maximise space. The concept of saving space carries through to the bathroom, storage areas and wardrobe which all make best use of available space and light. The importance of internet connectivity is made clear on arrival at what OZO call the ‘Spot’; a contemporary take on the traditional hotel lobby area. No fussy check-in procedures, no porters looking for tips and no hassle. Paperless check-in is carried out on an i-pad with the help of the friendly staff and sets the tone for the importance the hotel places on internet connectivity for guests. During my stay, the free wi-fi was faultless throughout the hotel. Combined with the positioning of multimedia connectivity panels with HDMI, USB and audio ports, OZO Pattaya is ideal for those who rely on their gadgets. It would be good to see more hotels in Thailand paying attention to details like this and OZO are ahead of the game in that respect. 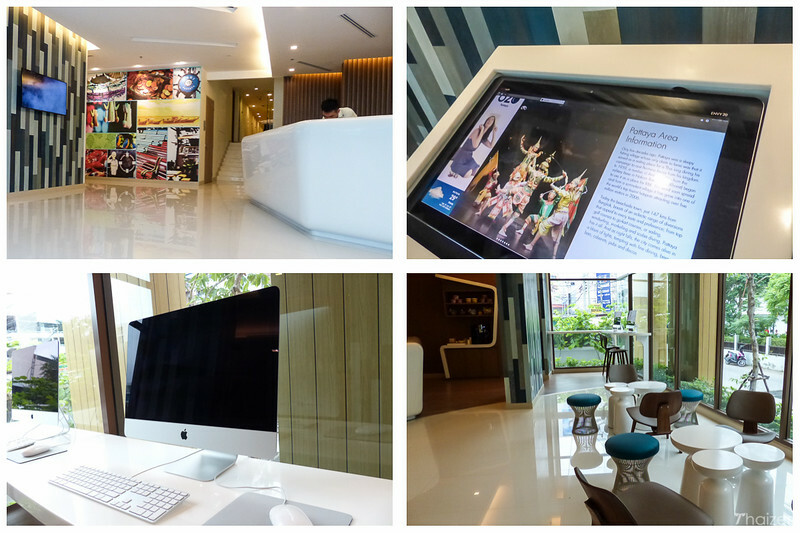 Another thoughtful touch in the lobby area is the inclusion of computers as well as interactive lecterns which provide visitors with information on Pattaya with advice on what to see and do and how to get around town. 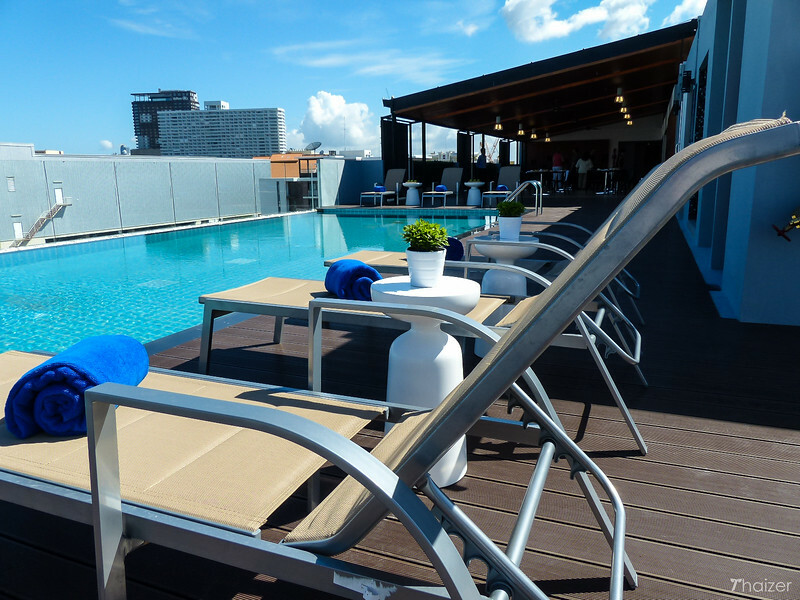 The hotel has only recently opened (September 15, 2014) and whilst the rooms are all complete there are some finishing touches taking place elsewhere in the hotel including the rooftop pool area (known as ‘Splash’). Speaking to hotel team members, they expect this to be completed within the next few weeks. There is a small gym (‘Tone’) on the second floor which I didn’t use during my stay, but I did check it out. 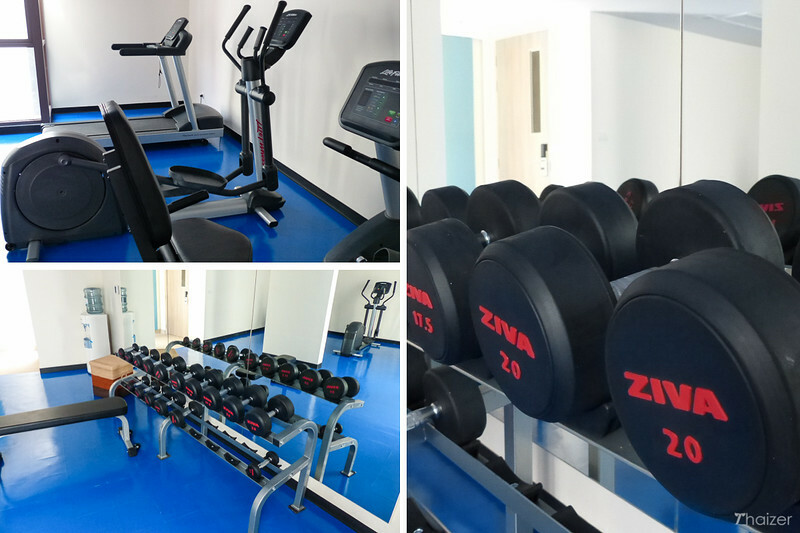 There isn’t a huge amount of equipment in the room which may disappoint some, but the basics are there (including treadmill, weights and bench) for those who need their gym fix. Food is served on the rooftop area which OZO simply call ‘Eat’. I had breakfast here on two mornings and it was excellent and plentiful. 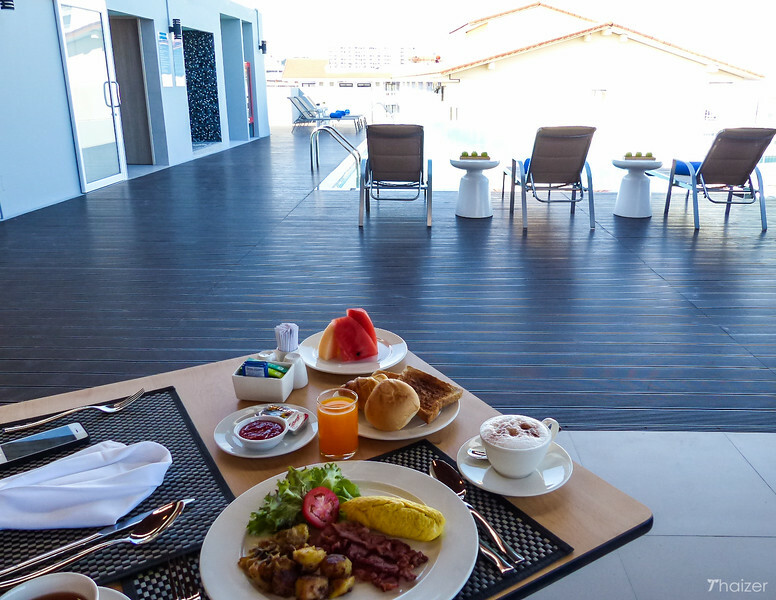 It was lovely to sit outside and eat breakfast on the covered terrace with the morning breeze, but there is also an adjacent air-conditioned dining room for those who prefer to sit inside and eat. There is also the option for those in a hurry to take advantage of OZO’s ‘EAT2GO’, a grab and go service for breakfast or snacks on the run. 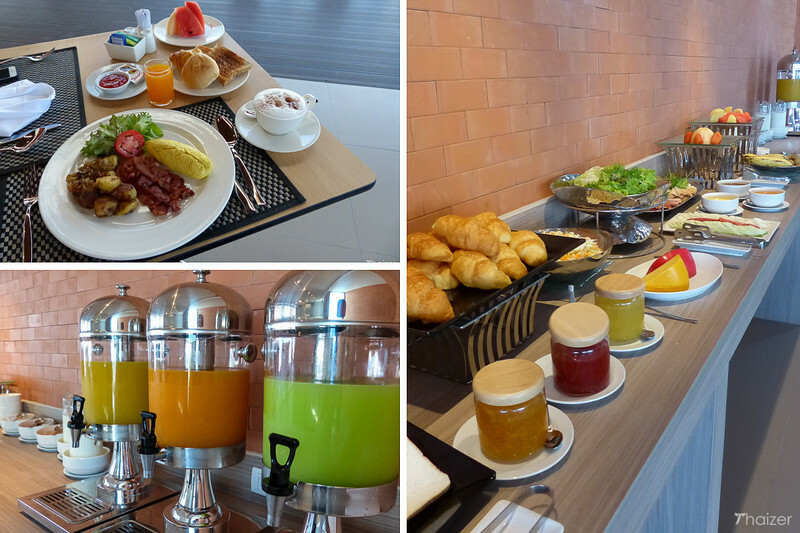 On the second morning of my stay, there were a few teething problems with the computerised till at the restaurant, but nothing to detract from the enjoyment of the food and eating experience. 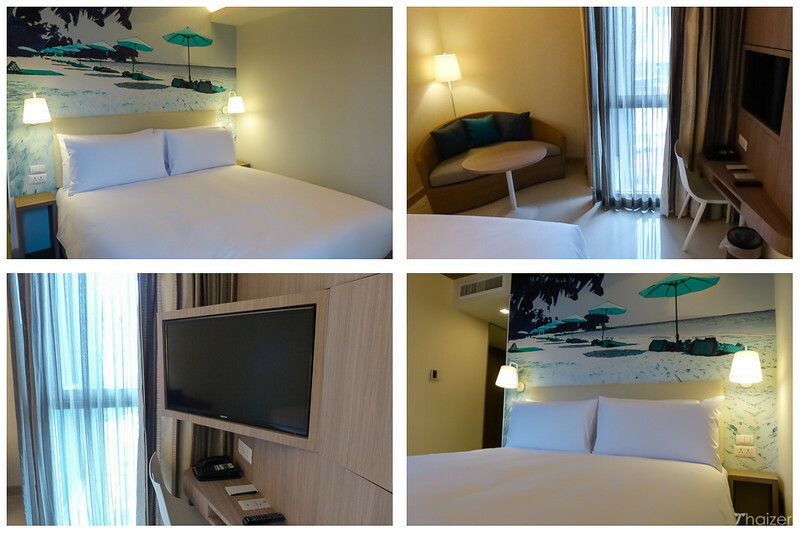 OZO Pattaya is definitely a hotel I would stay at again if I was visiting the area. Although I visited here by myself, the location, amenities and helpful staff also make it a hotel I would be more than happy for my family to stay which isn’t something I can say about some of the other accommodation I’ve stayed at in Pattaya. OZO Pattaya is trendy without being pretentious and gets the important things right. Highly recommended. 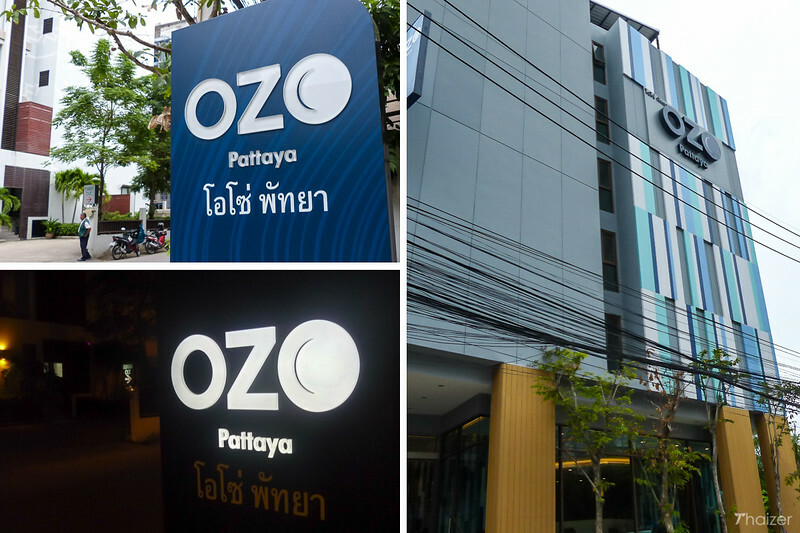 OZO Pattaya is located off Soi Buakhao (Soi 15) which runs parallel to Second Road. A new shopping mall, Pattaya Avenue, is a stone’s throw from the hotel and provides a super-convenient short-cut to Second Road and the sois (lanes) which run down to the beach. There is the ubiquitous 7-Eleven diagonally opposite the hotel and a laundry shop a few doors away. Noodle stalls, local eateries and a couple of low-key bars are all just a short walk away in either direction on Soi 15. Visit the OZO hotel website for full details. 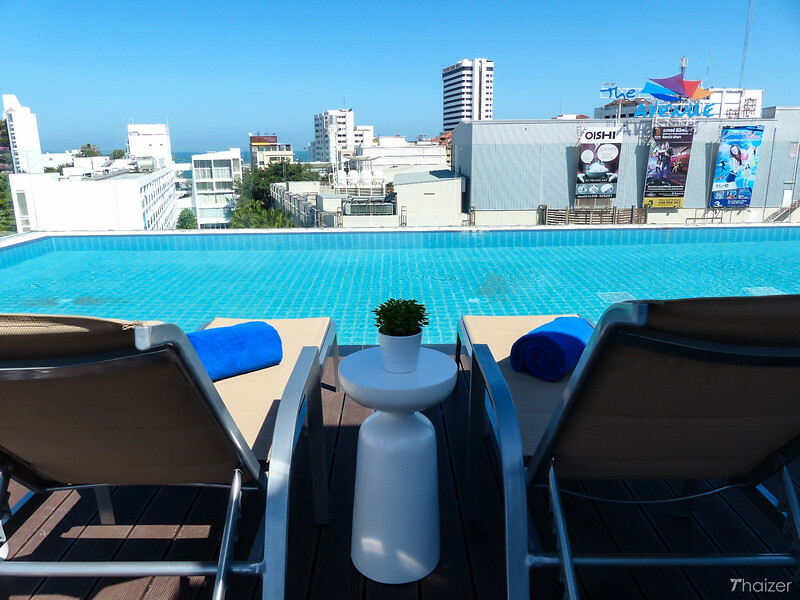 I was a guest of Onyx Hospitality and OZO Pattaya for my 3-night stay at this hotel.